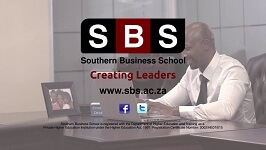 All copyright rights rest with Southern Business School. No part of this website may be reproduced in any form or manner without the express permission of Southern Business School. The use of information on this website is for consultative purposes only. In the unlikely event that any information on this website is incorrect due to technical inaccuracies or typographical errors, Southern Business School and their employees cannot be held responsible for any direct, indirect, special, incidental or consequential damages that may arise from the use of erroneous information found on the site. This website may include links to other websites. These links are provided for solely information purposes, and Southern Business School and their employees are not responsible, and cannot be held liable for the content displayed on these websites.